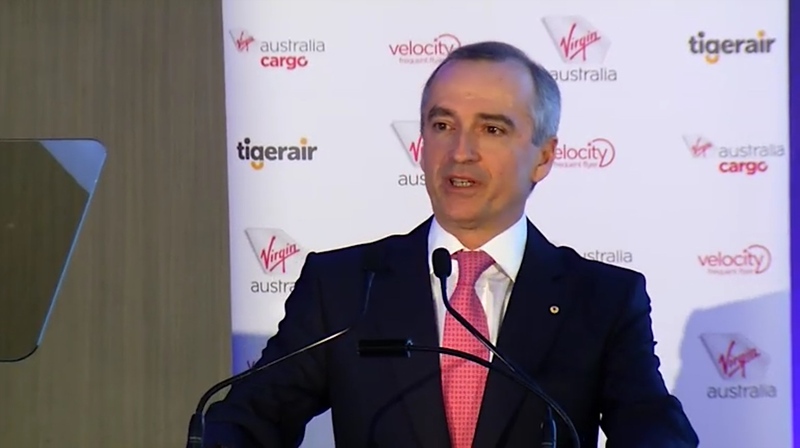 Virgin Australia chief executive John Borghetti says the airline’s trans-Tasman operation is performing well following the end of the alliance with Air New Zealand. The seven-year joint-venture between the two carriers was formally concluded on October 28 2018, meaning Virgin Australia was now going it alone against its former partner, as well as Qantas and Jetstar. Borghetti told reporters after the Virgin Australia annual general meeting in Brisbane on Wednesday the addition of new routes, as well as product upgrades both on the ground and in the air, had been well received by the travelling public, with forward bookings “quite good”. “We are getting not only good feedback but we are seeing bookings shifting our way so that is very good,” Borghetti said. Air New Zealand said it April it was walking away from the Virgin Australia partnership due to what it said was part of efforts to deliver a more consistent customer experience with its own aircraft. Since then, it has signed a codeshare agreement with Qantas for access to Australian domestic destinations it does not fly to. There was no codesharing or coordination on trans-Tasman services and the arrangement did not require regulator approval on either side of the Tasman. Meanwhile, Virgin Australia has scheduled new flights to Auckland, Queenstown and Wellington – including a seasonal Newcastle-Auckland service – while Air New Zealand was boosting its schedule to Brisbane, Melbourne and Sydney. Freed from the shackles of the alliance with Air New Zealand that required an alignment of on-board products and services, Virgin Australia was offering economy class passengers travelling between Australia and New Zealand a 23kg checkin allowance with every ticket, in addition to what the airline has described as a “substantial meal and drink”. The airline has also announced a streamlined premium passenger lounge network for its international flights out of Australia and New Zealand for eligible members of its Velocity frequent flyer program. “We don’t have to agree with anybody now, we do what we think is right and clearly what we think is right appears to be working,” Borghetti said. 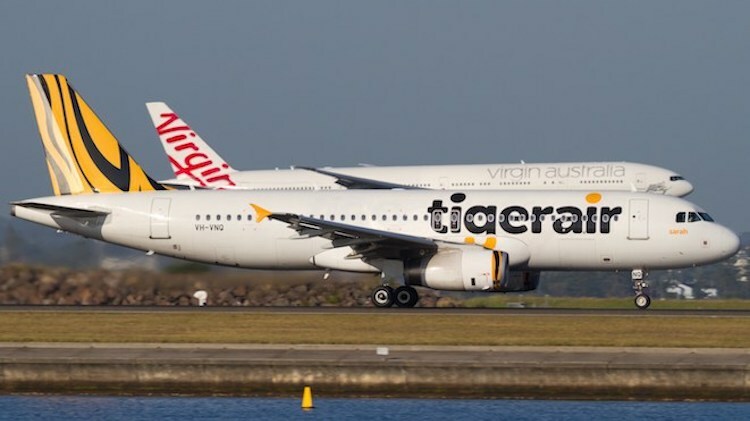 Borghetti said potentially using the airline group’s low-cost carrier unit Tigerair Australia on trans-Tasman services was still under consideration. In a trading update to the Australian Securities Exchange (ASK) in October, Virgin Australia said it expected to post an improvement in underlying profit before tax in excess of 20 per cent for the first half of 2018/19. This was despite an expected $88 million increase in fuel costs due to higher oil prices. The International Air Transport Association (IATA) showed the jet fuel price was at US$89.90 a barrel at the start of November, up 22.8 per cent from a year ago. Borghetti said on Wednesday the airline had used a mix of cost control and higher ticket prices to manage the jump in oil prices. “When you’ve got such a big impost on the business on what is effectively I guess your biggest expense line there is an element of it that you have to pass through, if not all of it,” Borghetti said. Borghetti noted the airline group had hedged 83 per cent of its expected fuel needs for 2018/19, which put the company in a good position from a competitive point of view. 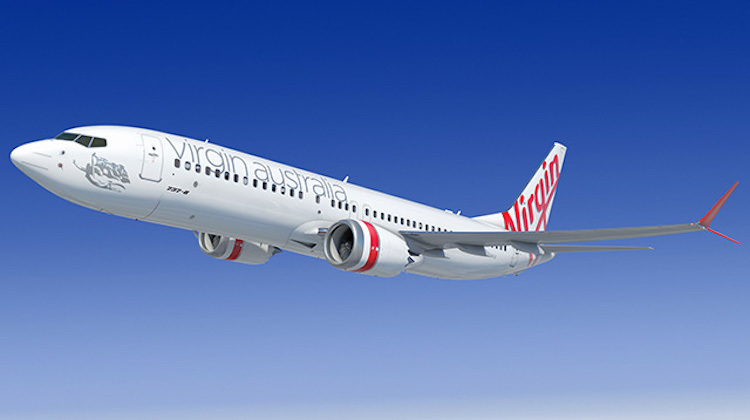 Virgin Australia was scheduled to take delivery of its first Boeing 737 MAX 8 in November 2019. The aircraft have been earmarked to replace existing 737-700/800s, and for market growth. Borghetti said the 737 MAX – Virgin Australia ordered of 40 737 MAX aircraft includes both the MAX 8 and MAX 10 – would be introduced gradually and allow the airline to maintain a young average fleet age. “We don’t want to fly 737-800s for 25 to 30 years,” Borghetti said. “Look at airlines that have aged their fleet significantly. What happens in that situation is you get a big tidal wave then of capital expenditure because you fly the aircraft 20-30 years and all of a sudden you have got to get rid of them. “But you can’t just get rid of one and stagger the others over the next 10 years because they are all 30 years old. So what are you going to do? You’ve got this massive capital expenditure wave that comes at you. That is bad in an airline. Earlier, some shareholders at the annual general meeting took the opportunity to express criticism of the airline’s share price, which has traded between 19 and 30 cents for the past 12 months despite an improved outlook. Major shareholders Etihad Airways, HNA Group, Nanshan, Singapore Airlines and United Kingdom-based Virgin Group hold about 90 per cent of Virgin Australia’s shares on issue. The resulting small free float has led to calls for the airline to be privatised. However, the board decided in February not to privatise the company. Instead, it offered small shareholders with less than $500 in shares the option to sell their shares back to the company for 30 cents per share. 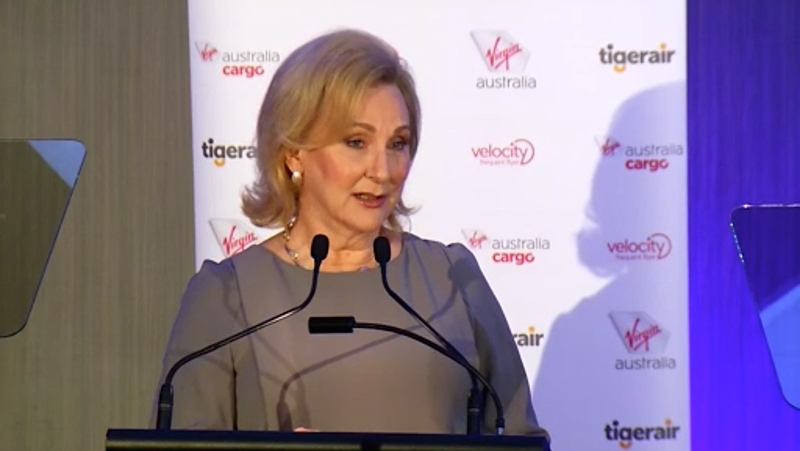 One shareholder, fund manager Geoff Wilson whose Wilson Asset Management owns Virgin Australia shares, described the company’s shareholding structure as “dysfunctional”, telling chairman Elizabeth Bryan at the annual general meeting she should be “embarrassed” by the share price performance. “I’m not embarrassed about this company. I’m very proud of its achievements,” Bryan said. of course Virgin is doing well on tasman. WHo would you rather fly, the best Australian flag carrier or some airline, that supports the all blecks & can’t even speak english. Just wish virgin would hurry up & put tiger on thin trans-tasman routes. from new reports Tiger will be getting Virgin 737s when they come off lease. Hawaii ? Too far, although Fiji Airways(Air Pacific) did fly BNE/NAN/HNL/YVR using a 737-700 I think it was. They still fly once a week NAN/HNL nonstop. Singapore is also too far unless stop somewhere like Darwin or Cairns or Townsville or ? Tiger should fly on a low frequent basis, even back of clock to Auckland, Christchurch, Wellington, Queenstown & take over Virgins Dunedin flights. They could reintroduce Dunedin to Sydney & Melbourne & flights to Rotorua & maybe Hamilton, plus Invercargill has been crying out for trans-Tasman flights since they increased length of runway to take wide bodies. Invercargill is much closer by road to Queenstown than Dunedin is. Newcastle/Auckland is surely a very thin route & should be flown by Tiger not Virgin. Given that Air NZ’s new A321neos have moved to a seat pitch in economy approaching that of TigerAir, I would think Virgin should be able to run riot on these routes. but, seat pitch IS NOT a measure of legroom, never has been, only when same seats are compared. “All Black air” are probably using super slimback seats, so they can decrease seat pitch & at same time, maintain or even increase legroom.